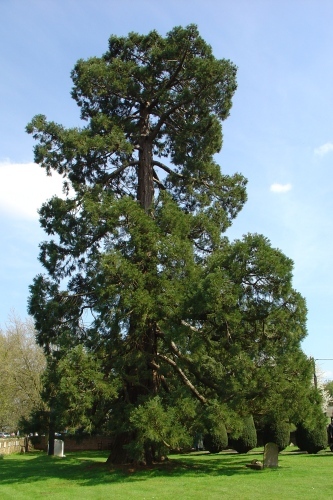 "The largest tree in the Churchyard is a fine Wellingtonia, a seedling from a cone my father picked up in the Mariposa Grove in May, 1874. After his death in 1875, the cone split open and I potted two of the seeds. They grew so well that, two years later, I sent them to our old Schoolmaster and Clerk, Frederick Marshall. One he planted in the Churchyard and the other on the slope of the Mount, and my amazement was great when I returned to Eversley to find the tiny seedlings had turned in the space of twenty years into Forest trees." 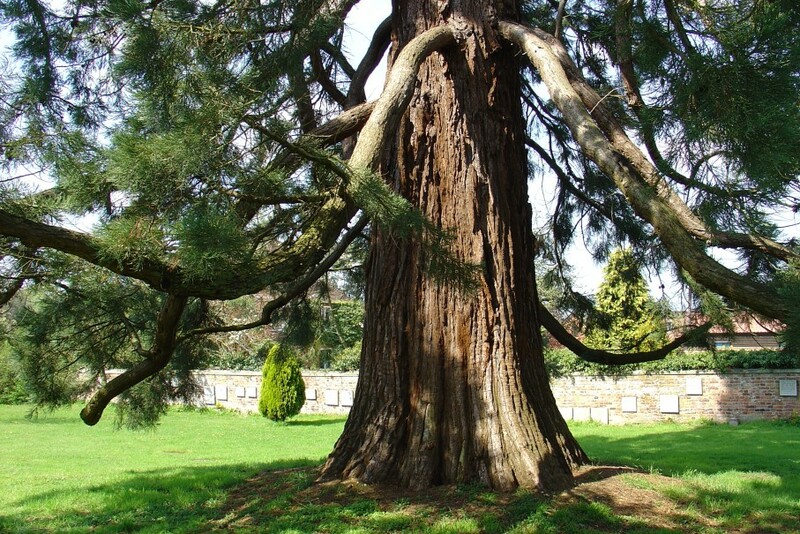 Set in the middle of a churchyard, the first two pictures show one of the finest examples of Giant Redwood. Its lush foliage extends down to a metre or so from the ground, and the trunk is a magnificent, broadly tapered monster. It's easy to see from this why these trees very rarely blow over in storms, despite their great height. 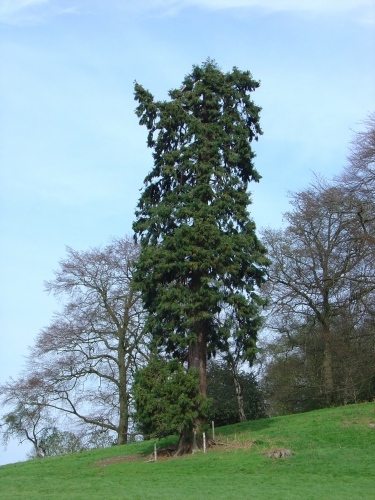 The third picture is of the tree on the slope of the Mount just a few hundred metres away. You may notice this one has some damage to the top, probably from a lightning strike judging by the scorch marks further down the trunk. Otherwise it seems a remarkably healthy tree producing some of the largest cones we have seen.